Cupressus sempervirens or Blue Italian Cypress is a signature statement plant that can be used as a sculptural feature or as an impressive hedge or privacy screen. 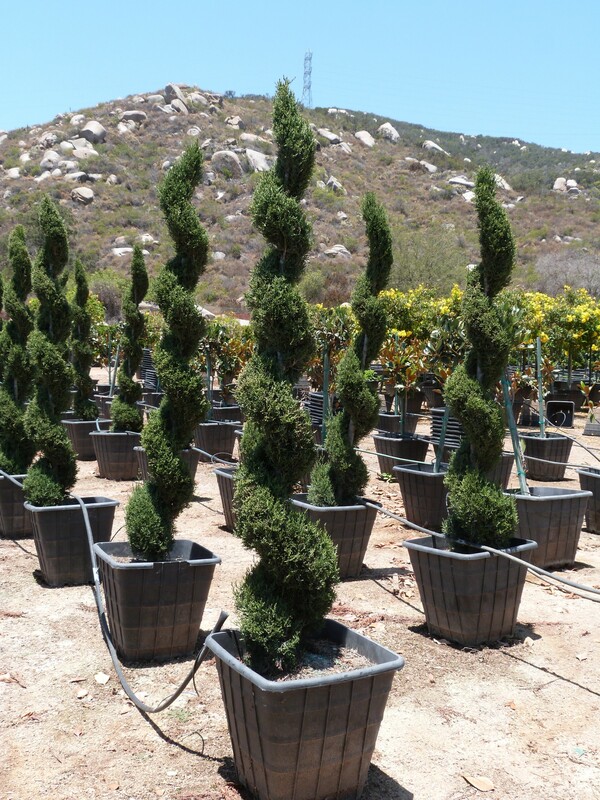 These columnar evergreens grow up to 60 feet tall at maturity, while only reaching 8-12 feet wide. Their narrow growth habit makes them appropriate for tighter urban spaces that need significant height. You can even plant them in large planters for impressive container display or to mark an entryway. Foliage is a beautiful blue-green with a smooth scale-like appearance. While plants can produce 1” cones, they are not as common as with other Italian Cypress varieties. Plants can be pruned and shaped into spirals if desired. A native to the Mediterranean region, plants perform best in a sunny location with fertile well-draining soil. We have found though that plants will adapt to a variety of soil conditions once established. Well-rooted plants can be drought tolerant.